I was in a neutral fashion rut until one day I sought a more patterned life. Let me explain. My closet was full of black, greys and neutrals and I needed to pepper up this palette. So, I stepped into Nordstrom where I found this patterned perfection. 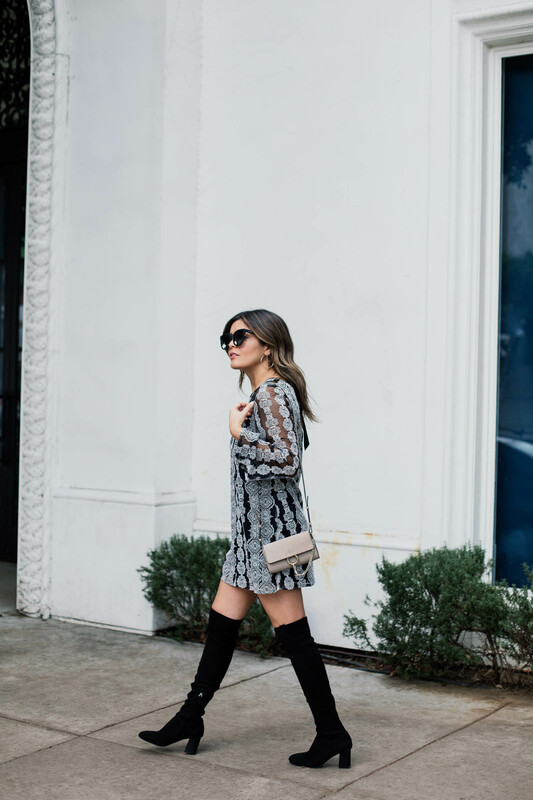 I paired this geometric print dress with some suede over-the-knee boots and a mini crossbody to complete the look. There are so many great dress options now available at Nordstrom – just in time for the holidays. Happy Friday loves! LOVE the departure from the neutrals! That print is darling and I love that there is a touch of Sheer-ness for a little added sexiness!